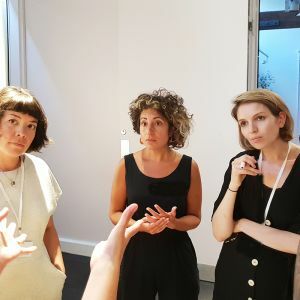 As another tumultuous year comes to a close we invited our members in the South West to look back on the year in film and share their top 5 films of 2018. 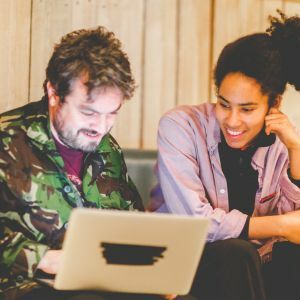 30 members joined the Film Hub team in sharing their lists and with a total of 85 films in the long list, from mainstream blockbusters to obscure documentaries to classics seen again on the big screen it covered a broad spectrum of cinema and makes a great viewing list for the Christmas break! 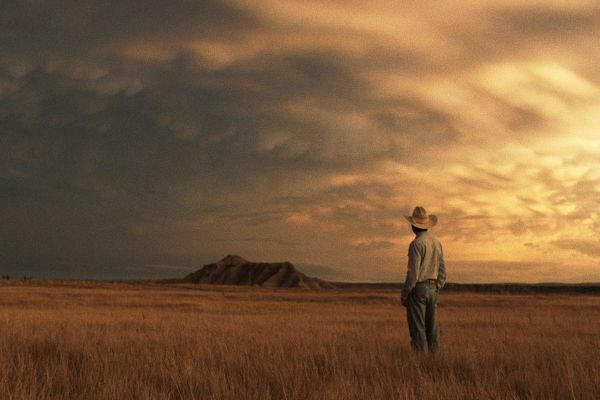 We have listed the top 19 films and were so pleased so see that (a personal favourite) Chloe Zhao’s exceptionally beautiful and genre-bending drama, The Rider takes the top position. After suffering a near fatal head injury, young South Dakota Sioux cowboy Brady (Brady Jandreau, a rodeo star on whose real-life story the film is based on) is told never to ride again – but the sport is his lifeline as well as his passion – and he struggles to find his place within a world where the phrase ride or die takes on real, high stakes meaning. Stunning, contemplative, inspired direction by Chloé Zhao which immersed me in a world I know little about… I think that Brady Jundreau’s presence just took the experience to another level. 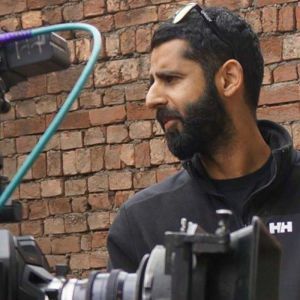 This is what cinema’s are for: stunning and intimate cinematography, stories that question everything we think we know about humanity and performances so fierce we can feel it. In the ruins of post-war Poland, Wiktor (Tomasz Kot) and Zula (Joanna Kulig) fall deeply, obsessively and destructively in love. As performing musicians forced to play into the Soviet propaganda machine, they dream of escaping to the creative freedom of the West. But one day, as they spot their chance to make a break for Paris, both make a split decision that will mark their lives forever. Classic combination of taut story telling, beautifully composed images and wonderful use of music. It took me back to the black and white Eastern European classics of my student days discovering the power of cinema. Despite its immense sadness, this film lifted my heart in a way that modern love stories in cinema have stopped doing. A stunning soundtrack that enhanced and perfectly melded with its visuals and a great case study on the effectiveness of simplicity. 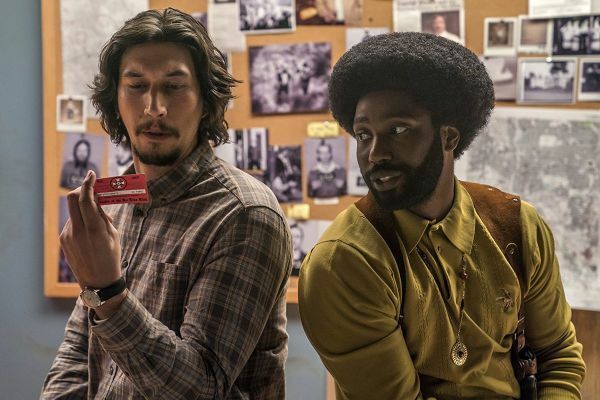 John David Washington (the son of Lee regular Denzel Washington) stars as Ron Stallworth, the real-life black detective who went undercover in the late 70s in the Ku Klux Klan. Though he communicates with members on the phone (even managing to dupe the Grand Wizard, David Duke, played by a skin-crawlingly good Topher Grace), he sends his white, Jewish partner (Adam Driver) to ‘stand in’ for him at meetings and rallies. Is it a buddy movie? Retro cop show? NO It’s shocking, sophisticated and very clever. As an expat American who grew up in a multiracial neighbourhood, I was bowled over by Spike Lee’s brilliant satire. It reminded me that while race relations have come a long way in the US, simmering racial tensions and inequality still exist, made far worse with Trump stoking the flames of far-right white racial resentment. 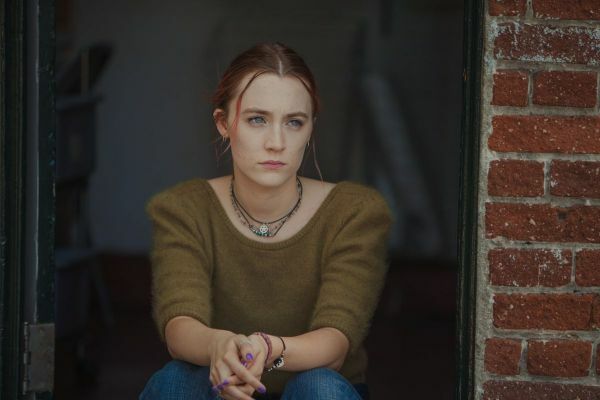 Lady Bird stars Saoirse Ronan as confused, precocious teenager Christine – or, as she prefers to be called, Lady Bird. She’s in her last year at a Catholic school, and dreams of a different life of cosmopolitan culture and Ivy League universities on the East Coast, lofty aspirations that cause clashes with her mother (Laurie Metcalf), a nurse working tirelessly to keep her family afloat. A perfectly judged coming-of-age comedy-drama whose mother-daughter relationship, so beautifully depicted by Saoirse Ronan and Laurie Metcalf, had me laughing and crying in equal measure. The work of three masters (Ramsay / Phoenix / Greenwood) at the top of their respective games working in perfect harmony. A brilliant follow-up to Winter’s Bone with superb under-played performances from the two leads. 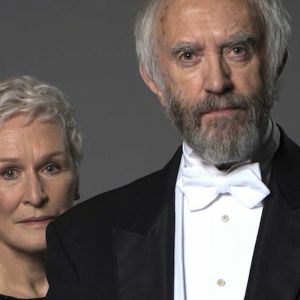 Frances McDormand delivers a blistering performance in Martin McDonagh’s scandalously funny drama about the battle between a grieving mother and the local head of law enforcement. It’s been seven months since her daughter was murdered and foul-mouthed, tough-as-nails Mildred (McDormand) is fed up. Outraged that the investigation has gone quiet, she sets about provoking the local police department with a series of messages plastered on three billboards outside her home town. So begins a rapidly escalating and very public feud between Mildred and venerated community leader Police Chief Willoughby (Woody Harrelson). Beautifully written and acted, breathtaking, couldn’t even bear to leave to go to the toilet. Excellent acting and excellent story! In summer 1993, following the death of her parents, six year old Frida leaves Barcelona and her grandparents for the countryside where she will now live with her uncle and aunt. 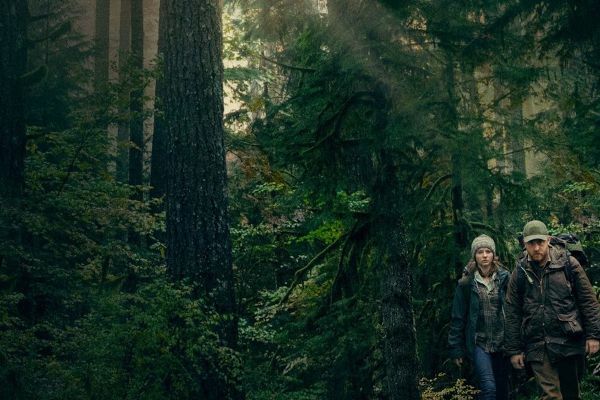 Exploring an unfamiliar and estranging rural world, still burdened by the trauma of her profound and confusing loss, she struggles to settle into the new family dynamic. Beautifully evocative landscape of rural Spain that works as a gentle hand to hold for a young girl whose mother has recently passed away in a cathartic film that reminds you of the joys of being a child. Clear eyed, open hearted, devastatingly emotional. Showed the fragility and the ruthlessness of children. Had to sit in the cinema for half an hour after the film finished to have a good cry. Hirokazu Kore-eda (Still Walking, Like Father Like Son) returns with this Palme d’Or-winning masterpiece about the forces holding an impoverished family together on the outskirts of Tokyo. 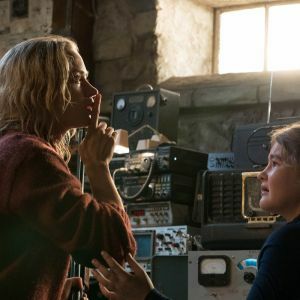 John Krasinski writes, directs and stars in this nerve-jangling, clammy-palmed thriller about a family who must survive in a world where the slightest sound brings out deadly monsters. One of the best cinematic experiences of the year. 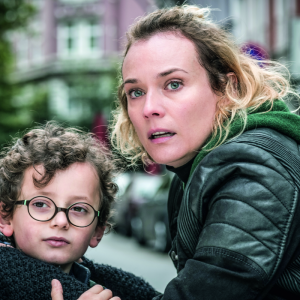 Diane Kruger picked up the Best Actress prize in Cannes for her role in this riveting thriller, winner of the Golden Globe for Best Foreign Language Film, about a grieving woman searching for justice. 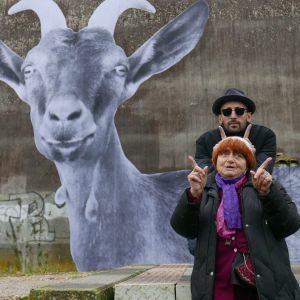 For the sheer joy of Agnes Varda and JR dancing through the Louvre (in a wheelchair), for Varda’s eternal curiosity and for the simple (and rare) understanding of the power of the image. So thoughtful and sensitive. Loved the intergenerational exchange of ideas and life experiences. British writer/director Deborah Haywood’s debut feature tells the heartbreaking yet charming story of a mother and daughter who struggle to escape bullies, and the terrible strain it puts on them and their relationship. Winner of the Best Foreign Language Film at the Oscars®, Chilean director Sebastián Lelio follows up his 2013 hit Gloria with this luminous and life-affirming gem about a young transgender woman struggling to live with her own grief – and the prejudice she suffers – after the death of her lover. One of the most powerful films of the year for me. A study of grief, love and defiance. Performance of the year from Daniela Vega. 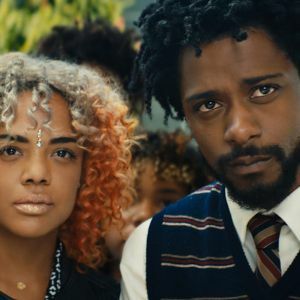 Musician and activist Boots Riley makes an incredible debut with this breathlessly inventive and funny fantastical satire about a black telemarketer who uses his ‘white voice’ to get a promotion in a horrible corporation. So fresh and different; managing to highlight so many current issues without being heavy handed. Radical, fresh and thought-proving. 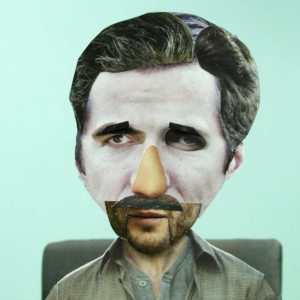 Pure hip hop with a healthy dose of surrealism. Set in the early 1970s, the film is a semi-autobiographical take on Cuarón’s upbringing in Mexico City, and follows the life of a live-in housekeeper to a middle-class family. Every shot is picturesque and considered. I feel Cuaron offloads some colonial guilt in this very personal film. In addition, it has the best soundscape of any film released this year. Another rare film that I will treat myself to a second viewing of. I would have liked this to be on the Roses screen, but will have to make do with Netflix instead. After the King of Wakanda dies, his son T’Challa returns home to the secretive African nation to succeed him. 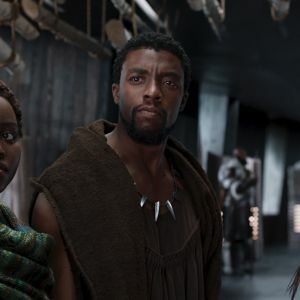 His succession is challenged, however, and he finds himself drawn into a conflict that could threaten his entire kingdom..
‘Black Panther’ is a powerful glimpse into what is possible when we don’t veer too far from important traditions but maintain a firm grasp on the modernities of the present. 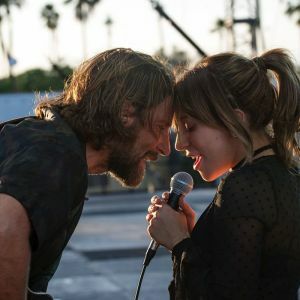 In this new take on the tragic love story, Bradley Cooper stars as seasoned musician Jackson Maine, who discovers and falls in love with struggling singer Ally (Lady Gaga). Tempted to give up on her dream to make it big as a singer, Jack coaxes her into the spotlight, and the two create a musical powerhouse. But even as Ally’s career takes off, the personal side of their relationship is breaking down, as behind the scenes Jack fights a battle with his own demons. I know, I know it’s cheesy but it was so much better than I thought it would be. Raw and compassionate love and loss story done justice by brilliant performances all round. 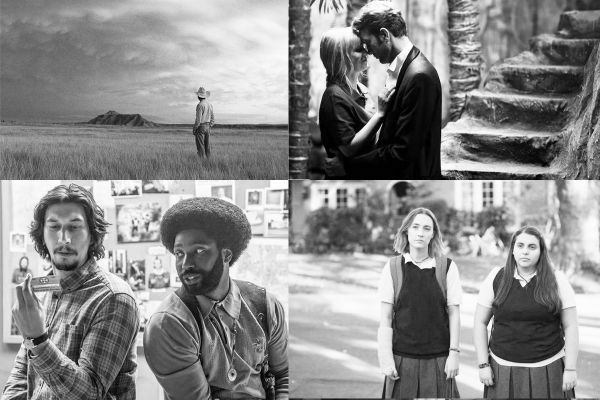 That’s it for the top 19 films of 2018 but for the curious among you, you can view the whole list and voting here.